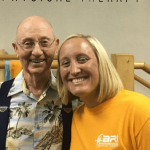 Physical Therapy Tell City, Jasper & Santa Claus, IN - Advanced Rehabilitation, Inc.
Advanced Rehabilitation, Inc. Providing Physical Therapy to Tell City, Jasper, and Santa Claus, IN! 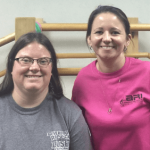 At Advanced Rehabilitation Inc., we provide expert physical therapy care to our patients through a dedication to helping people heal, preventing workplace injuries & bringing men, woman & children back to their full active lives as quickly as possible. We understand that everyone is different – for some, it’s about playing with their grand kids, working in their garden, or taking a walk. For others, it’s about playing sports or returning to work without limitations. 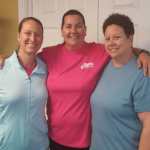 Our physical therapists focus on your goals. This individualized approach is the key to our success in achieving the best results for you. 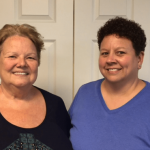 Thank you for the trust that you put in us and we look forward to helping you to live without pain or limitations! Contact us today, so we can get you started on the path to a healthy, pain-free life. 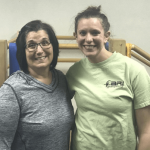 Advanced Rehabilitation is dedicated to providing the most innovative and effective methods of physical therapy to the residents of Tell City, Jasper, and Santa Claus, IN. If you are experiencing increased pain and stiffening in any of your joints and muscles, manual therapy is often helpful. If you desire an immediate reduction in pain or muscle tension, you could benefit from dry needling. 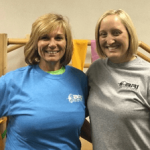 Our physical therapists will guide you through specific moves that help you avoid future injuries. Our PTs focus on improving range of motion, strength, posture and movement in patients with Parkinson’s. Orthotics can decrease pain, alleviate pressure, and increase stability in an unstable joint. If you have unwanted scar tissue that is causing pain or restricted movements, this treatment may benefit you. This hands-on approach helps release tension deep in your body to relieve pain and dysfunction. We Have help for you right now! Relief for your back and neck pain! Stop your joint pain with these steps! Stop sciatica pain with these simple exercises! I came in after a spinal fusion. I wasn’t able to lift with my left arm and I couldn’t turn my head without extreme difficulty. I was very discouraged. After a few days with Becky, Meghan, and Ashley they had me turning my head and lifting light weights. I came to ARI because I was having severe pain in my left knee. I have having no more pain and can sleep all night! I was referred to ARI by my family physician for headaches. I can now do exercises at home and live headache free. Physical therapy has helped me recover from a dislocated shoulder, two knee operations, and whiplash from a car accident. Discover what's really causing your pain.